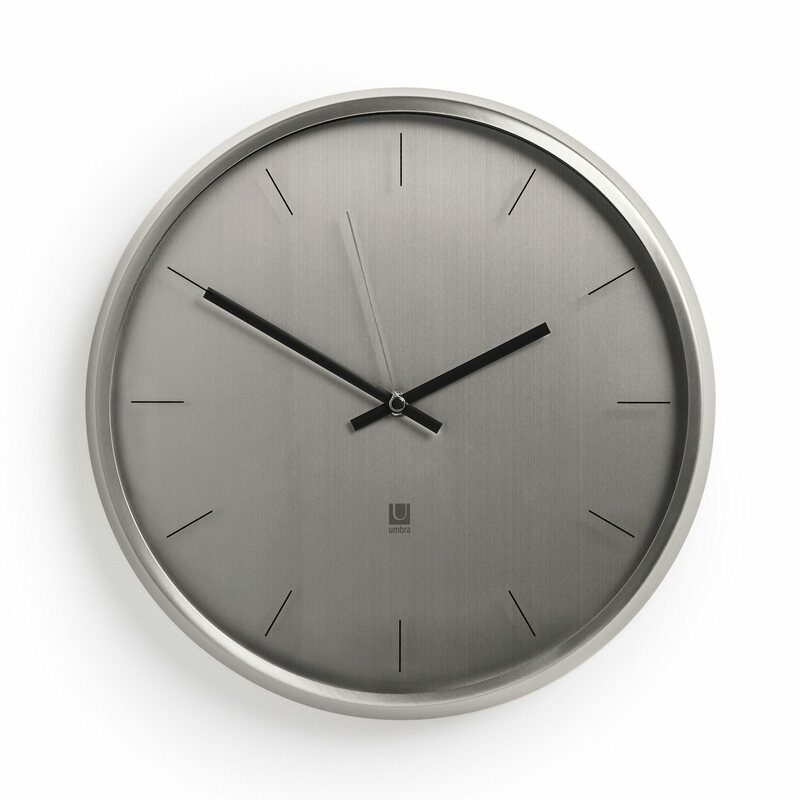 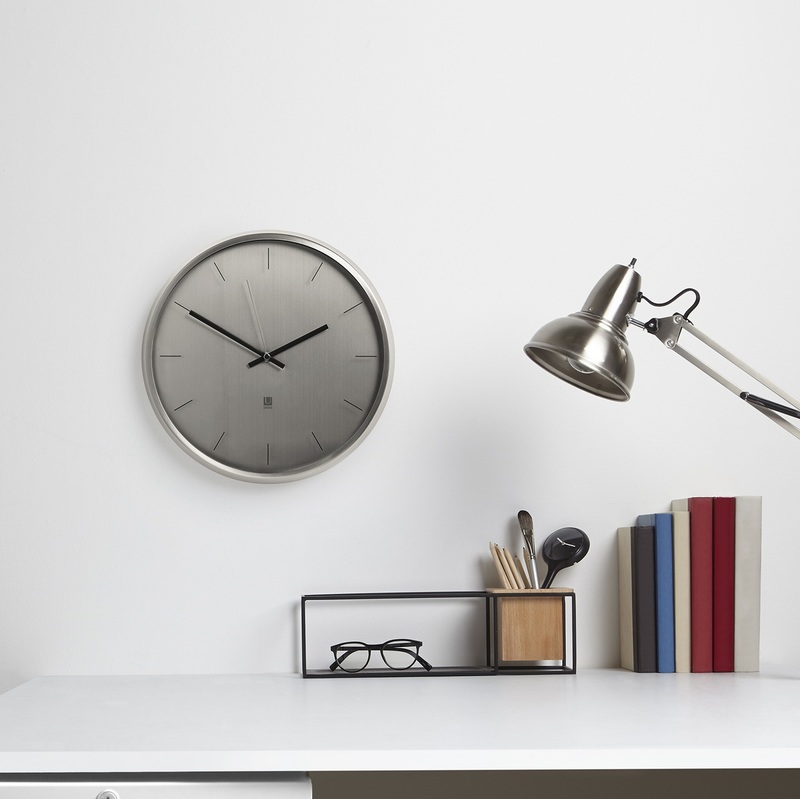 The Meta wall clock by Umbra is an all-metal construction in nickel color, paired with purposefully soft lines and a glass crystal clear lens. 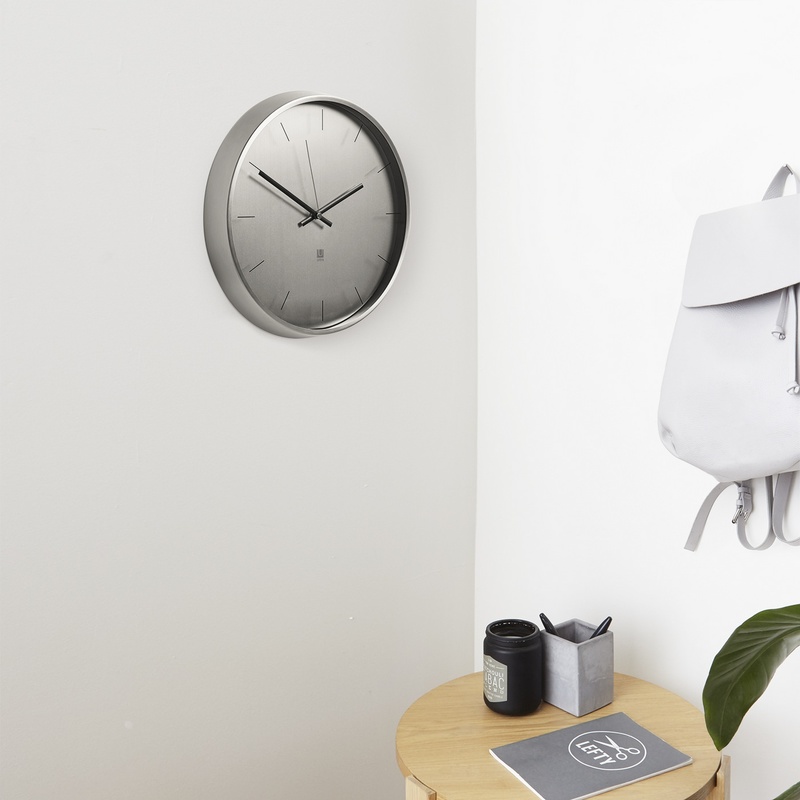 This timepiece is the perfect addition to any modern home, as it combines sleek and modern design with bold, solid color. 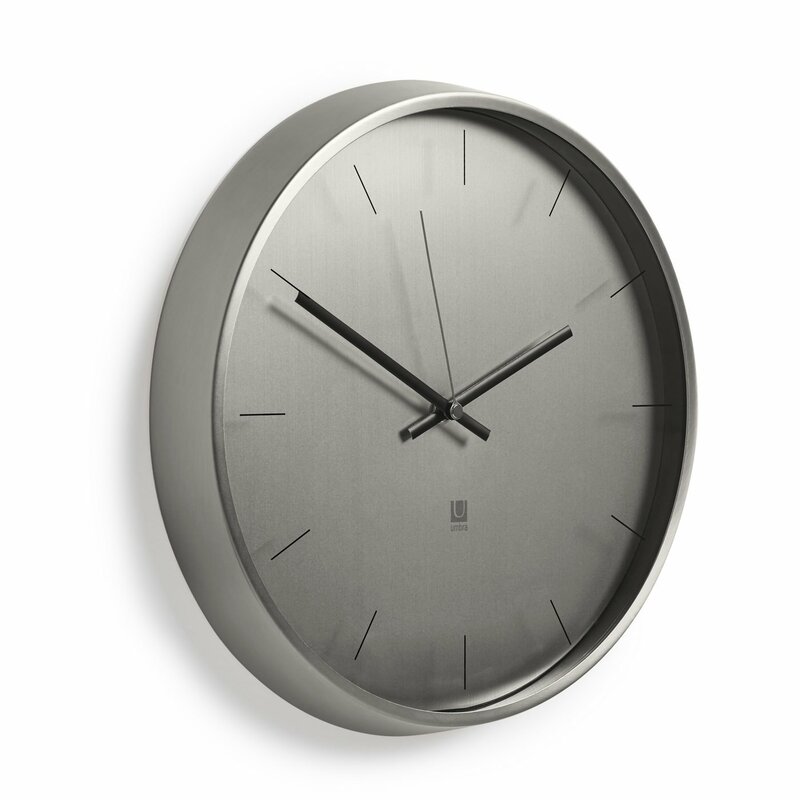 It features smooth sweeping movement, non-ticking and quiet, which makes it ideal for your bedroom as well. 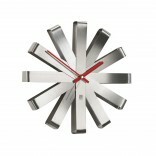 Dimensions: diameter 12.5" / 31,75 cm.